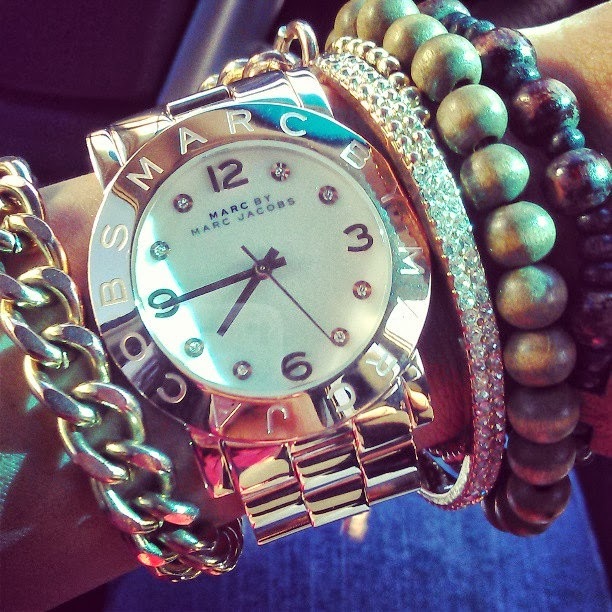 Marc Jacobs Amy watch in rose gold, Gold loop bracelet from Langford market, random wood bracelets. Its No secret I love a great arm party!I have posted a few of my stacks on IG but I decided to blog them finally! 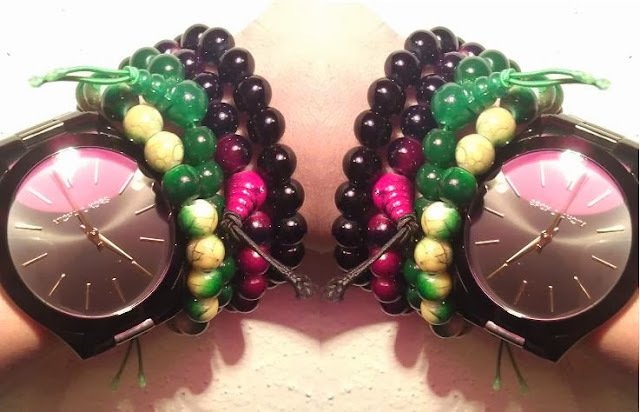 Here are just a few of my favorites, but I feel like my arm parties are like snowflakes, no two are the same. I think I have more watches than anyone probably should, but here are my 4 most worn ones. Marc Jacobs acetate and white rubber watch. 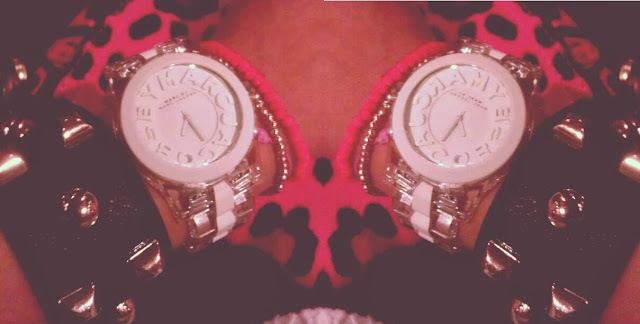 Michael Kors horn watch, Bcbg affirmation bracelet, Forever21 gold chain. Michael Kors simple black watch, healing/protective beads from overseas. I really need to get a watch. These are beautiful!